Burman Clark speaks on a daily basis with both employers and employees about a variety of employee benefit topics. Whether it is a creative discussion with an employer concerning controlling health care costs or an individual employee benefit meeting, effective communication is of utmost importance. A 2001 graduate of the Reid Buckley School of Public Speaking,Certified Senior Advisor (CSA), Registered Health Underwriter (RHU) and a Member of Society of Senior Advisors. Burman shares his knowledge of health care reform and Medicare solutions with a down home style that will engage any audience. His insight on current health care reform and how it will affect employers is both timely and informative. To schedule Burman at your next association luncheon, business roundtable, or other upcoming event, please fill out the contact form below or call our office for availability. 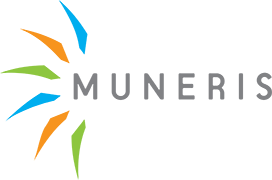 Burman Clark, RHU, CSA - President, Muneris, Inc.